Democrats are angry that Hillary Clinton continues to discuss what went wrong during the 2016 presidential election against President Trump. Even some of Clinton’s own former aides and surrogates say the former Democratic presidential nominee should back away from the discussion about her failed campaign because it’s harmful to the party. 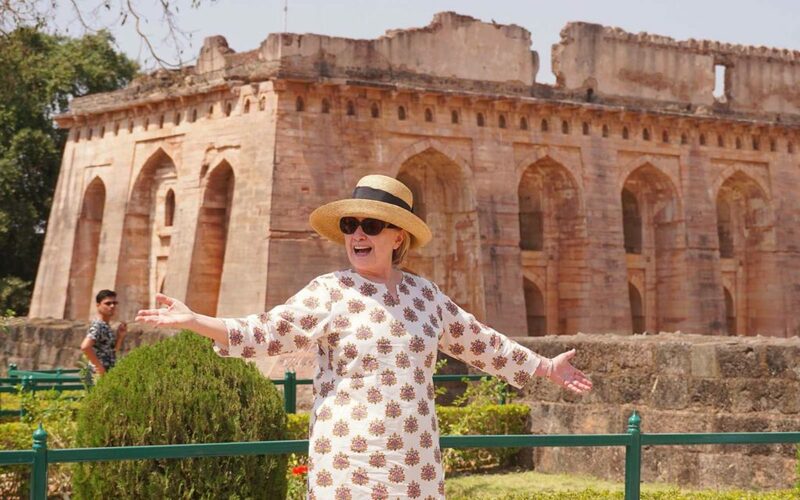 During a conference in India this weekend, Clinton called states that supported her in the election more economically advanced than the states that backed Trump. The remarks reminded many of the former secretary of State’s comments in 2016 that some of Trump’s supporters fit in a “basket of deplorables,” a line the Republican then used against her repeatedly during the final stretch of the campaign. In interviews with The Hill on Tuesday, even the staunchest Clinton allies as well as longtime advisers say the comments were cringeworthy and ultimately detrimental to Democrats. Another Clinton surrogate questioned the decisionmaking behind Clinton’s remarks. For months, some Democrats have been arguing that Clinton’s sentiments have been counterproductive to the party’s rebuilding efforts. And some have told her she should emulate former President Obama’s model to only make statements when it’s essential. Even before she launched her book tour last fall for “What Happened,” party strategists have said Clinton should lay low. Like Trump, Clinton has lost popularity since the 2016 election in national polls. In early December, Gallup found 36 percent of Americans viewed her favorably, the same percentage that approved of Trump’s presidential performance. The result marked a record low for Clinton in the Gallup poll, which has tracked her favorability since 1993. Just 5 percent of Republicans and 27 percent of independents had a favorable view of her. Several studies of the 2016 election have found that Trump overperformed Clinton in economically struggling parts of the nation, a likely motivator for voters seeking change in the party control of the White House. Parts of the country that shifted their support from Obama in 2012 to Trump in 2016 were also more likely to be negatively affected by globalization. Another post-election study showed that Clinton’s hawkish views were also harmful to her campaign. As was revealed in Shattered, Hillary Clinton decided upon the strategy of blaming others such as Russia for her loss within twenty-four hours of losing. The Congressional testimony showed that Russian activities on social media were trivial compared to the actions of the two major party campaigns. While we have known for some time that the Clinton campaign had used paid internet trolls, new information came out today in an article at Huffington Post regarding the use of fake accounts used by Clinton supporters to oppose Bernie Sanders. While Democrats express frustration with Clinton continuing to blame others for her loss, many Democrats do continue to support her unfounded claims. For example, after the House Intelligence Committee reported that there was no collusion between Russia and Donald Trump to alter the election, Democrats have continued to make arguments which are not supported by the facts. While it is true that House Republicans very likely would have denied the presence of collusion if it existed, and it is possible that Robert Mueller might uncover new information in the future, the fact remains that the evidence available at present shows no such evidence of collusion. Despite the lack of evidence of meaningful cooperation between the Trump campaign and Russia to effect the election result, Democrats such as Joaquin Castro have been giving interviews distorting the facts following the committee report. In this interview on NPR’s Morning Edition, Castro both made unfounded claims and moved the goal post a tremendous distance to promote actions which do not show any meaningful collusion as if they were evidence of collusion. While not in the transcript on the web site, during the actual broadcast host David Greene debunked Castro’s claims after the interview. Democrats who continue to make unfounded claims look like Republicans who continued to justify the Iraq war long after it was clear to most that we were never threatened by WMD from Iraq. If Democrats are going to move forward from the 2016 election, they need to do more than just cringe when Clinton makes asinine statements. They need to acknowledge that Clinton lost because of her own mistakes, both during the campaign and in making bad decisions throughout her career. They must admit that they were wrong to rig the nomination for her, and reform the nominating process. Finally they must repudiate both the corrupt personal behavior of the Clintons in using their public positions to unethically enrich themselves, and the conservative positions she has promoted throughout her career.